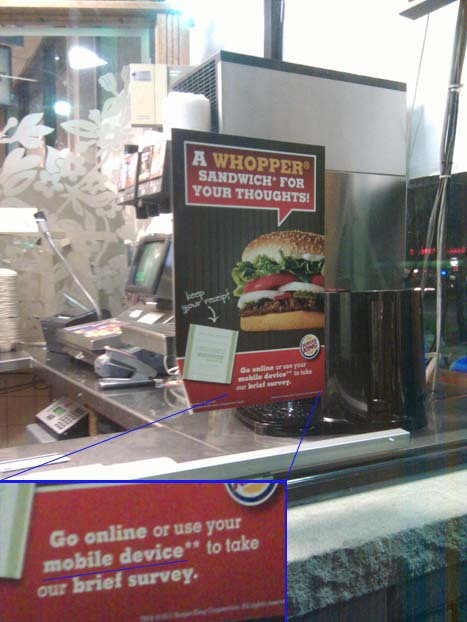 Burger King shows insensitivity to world hunger AND encourages using your mobile phone while driving. Who is responsible for this garbage? Click the images for a closeup. 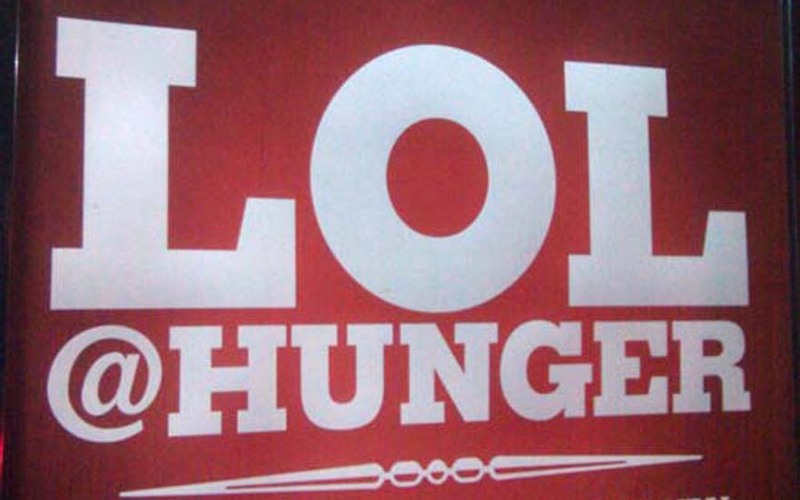 Granted, I juxtaposed the image of the starving children with this actual Burger King ad, because when someone says “hunger” this is the first thing that comes to mind. My question is, if Burger King discovered that eating a Whopper reduced your risk of getting cancer, would their genius ad agency come up with a poster that says LOL@CANCER? And maybe I’m being picky, but instructing someone to use their mobile device to take a survey – on a poster at the drive through window – isn’t that basically acknowledging that the context of using their mobile device to take this survey is one of the customer driving their car since that is where they already plan on eating their meal they just purchased from you?